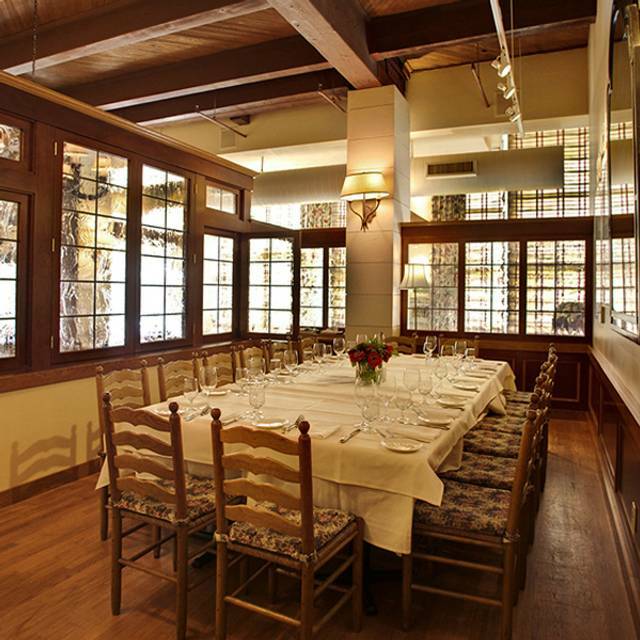 You must make reservations at least 5 minutes in advance of the time at Il Terrazzo Carmine. Between Jackson and King on 1st Ave S.
Beginning December 11th, parking services will be relocated to the 450 King Street parking garage. The entrance is located near the corner of King Street & Alaskan Way. This will NOT be a curbside service, and guests can drop off their vehicles at the valet station on the first floor of the parking garage. Valet service for our dinner guests will begin at 4:30 and is complimentary for up to 4 hours with validation. Guests parking before this time will be subject to public parking rates. Please contact us a 206-467-7797 for your catering needs. Il Terrazzo Carmine, owned and operated by Carmine Smeraldo, is one of Seattle's true dining anomalies - a highly successful restaurant with unfailingly high standards and a loyal, sophisticated clientele. 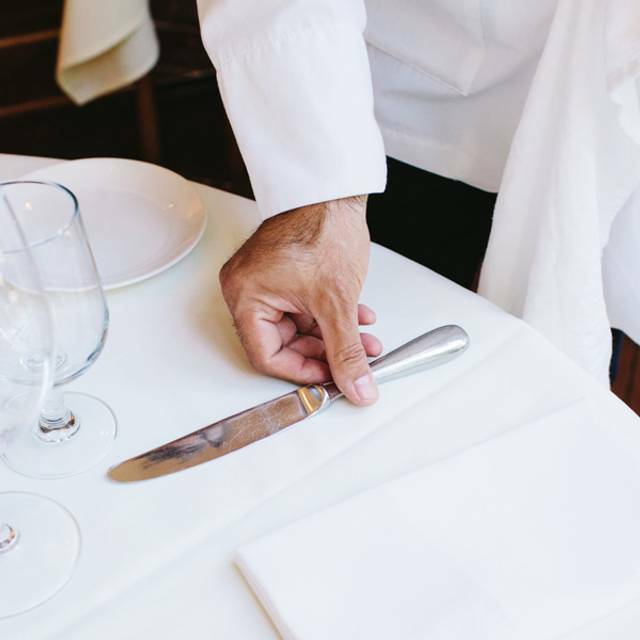 The cuisine has been acclaimed as Seattle's best by the media and more importantly, by local diners. Fresh spinach sauteed with lemon and garlic. Large sauteed prawns, touch of tomatoes, wild mushrooms. Pan seared sweetbreads with prosciutto and asparagus. My husband and I went for our anniversary and I’ll Terrazzo made our night amazing! Our waiter was fantastic, they made it very special for us. Loved every moment! 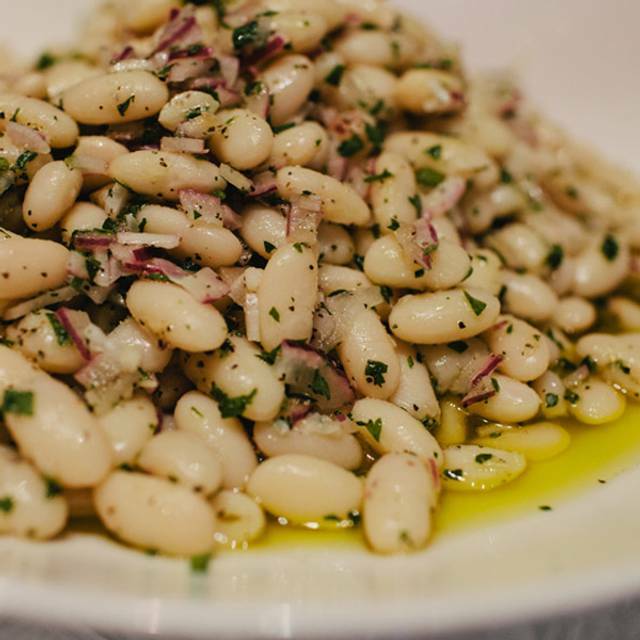 My experience at IlTerrazzo Carmine was amazing. The decor is beautiful and welcoming. Our food was delicious. I ordered the small pasta with tomatoes, spinach, goat cheese and pine nuts and it was the best pasta I think I have ever had in my life. I would definitely recommend this restaurant to anyone visiting Seattle! 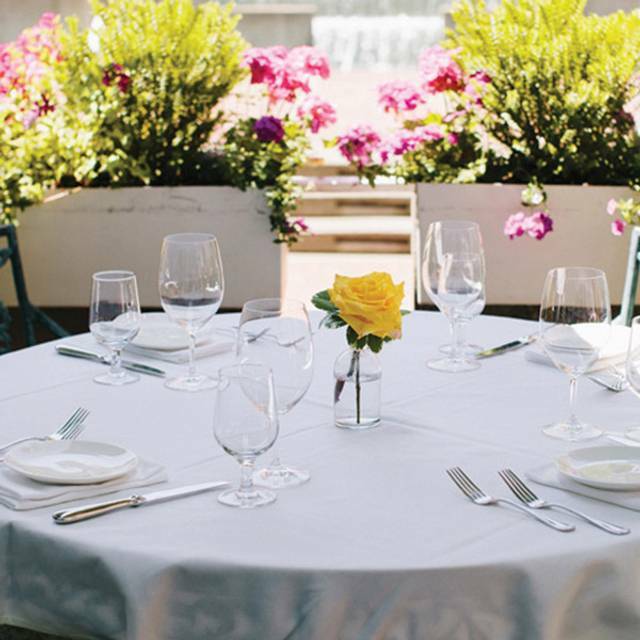 We have been dining at Il Terrazzo for 25+ years and it never disappoints. The pasta is just excellent. We had the squid appetizer and then the seafood ravioli and linguine with clams for dinner. Amazing as always. It is also the prettiest restaurant in Seattle, wonderful ambiance. Went to the sister bar and small plate restaurant and really enjoyed it, but the flagship restaurant itself was a disappointment. The Cioppino and angel hair pasta were extremely similar with the exact same seafood, but were also extremely bland. The appetizers of mushrooms and egglpant were nothing special. The dessert was the highlight...the tiramisu was some of the best I've ever had and the cheesecake was really good. BIRTHDAY. BUT NOTHING WAS ACKNOWLEDGED. I have a special fondness for this restaurant. Carmine for 10 years, once a month following my Art Garreries Show created a beautiful spread for my VIP’s. We ate a surprise delicious spread and wines that were paired for an incredible evening celebrating those who purchased the featured Artist works. I hadn’t been back in years since retiring and a surge of nastalgia hit me Thursday night when I arrived to meet a client and friends to hand deliver her ring I created for her. The paintings still there, the decor so lovely, the service like the best ever, the drinks fabulous and the food over the top delicious! I love how people were dressed up or casual because the ambience lets you feel comfortable however you want to experience this truly wonderful restaurant. I will not stay away now and planning a group dinner to share this special restaurant with my closest friends! First time there, it was delightful! The small plates were just the right size. Best Italian in the city! We had a wonderful dinner, but our table didn’t have enough space for chairs. However, our server kindly move our table a little bit to make more space. Food and service were excellent. The restaurant is always great. I enjoy food, service and atmosphere. If you want to eat good Italian in Seattle, this is the place to go. Always a top notch dining experience! Perfect for family celebrations and commemorating big life events. Excellent balance of upscale dining and an accessible family centered environment. My number 1 recommendation for anyone visiting or looking for a dining option in Seattle! Il Terrazzo is a Seattle classic. 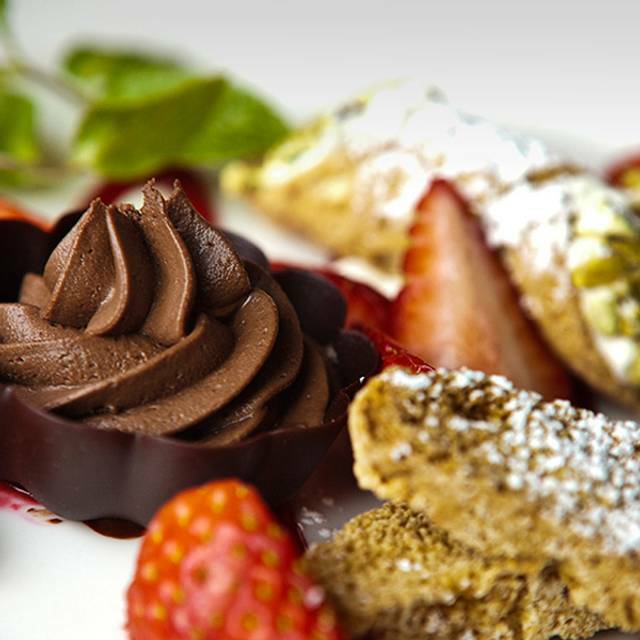 Great, traditional Italian food; finest-quality ingredients; efficient, professional service in a comfortable, non-noisy dining room. Nothing trendy, showy, or pretentious--thank God. Consistent, reliable, and super yummy. Excellent; we have been there many times and it is always a pleasure. Have gone infrequently to II Terrazo Carmine over the last dozen years. Always a great experience - food, setting, service always outstanding. Parking is easy and remodeled entrance is impressive. 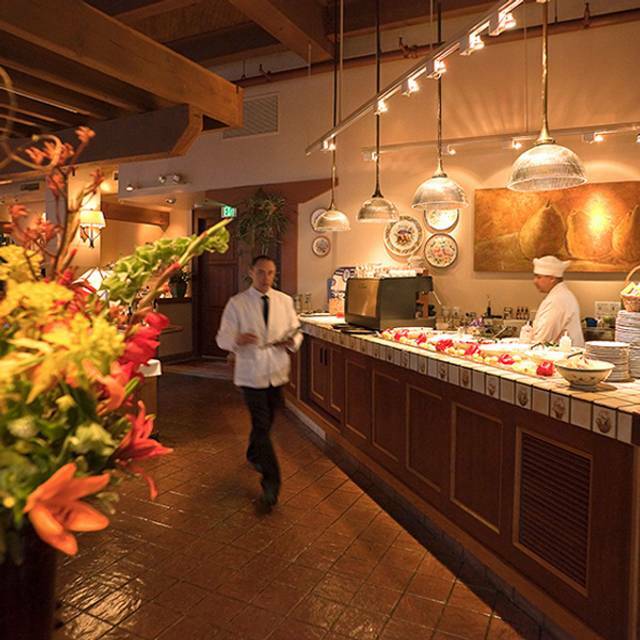 Continues to be our favorite destination for a special event Italian dinner. I've been there many times but this day was different. The waiter was not very attentive (which is not typical) and I ordered the steak salad but the steak was whole on the side of the plate. It's my favorite and every time I've ordered it, the steak was tender and sliced up on top of the salad. Must be a new chef or something. So, this experience was just okay. I really enjoy the restaurant and the bread is outstanding! I would try it again but hope the experience is different. Great service for a large party pre Opening Day Mariners. Food very good as usual. We were celebrating my birthday with friends. The waiter was over the top. He was knowledgeable, friendly and offered great wine selections. He even gave me two half glasses of different wines to see which one I liked better. A complimentary dessert was brought to the table and shared by all. This is one of my favorite restaurants and we will definitely go back. This is where I bring clients and visiting friends and family. We always have a wonderful time. Delicious specials, wonderful staff, beautiful setting. I had been there many years before and it is still lovely with good if somewhat imperious service. The food, however, was not as I remembered it. Perhaps too rich and this dish was overcooked, but I didn't feel well afterwards until 24 hours later. 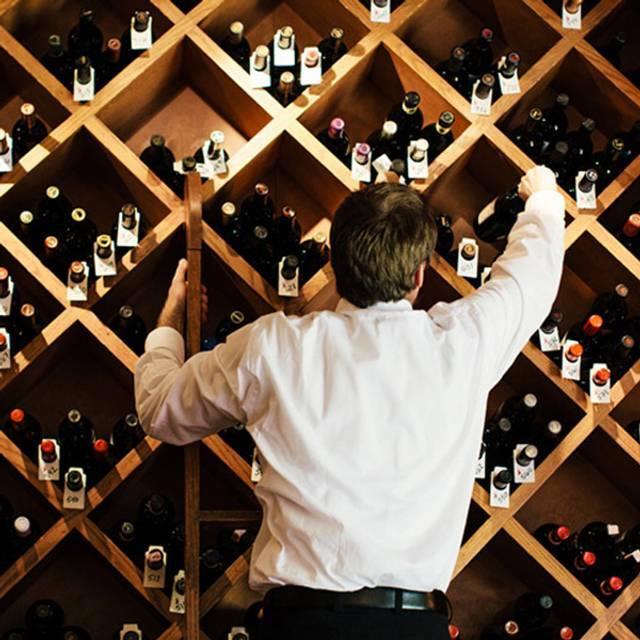 The wine list is extensive and wonderful. Not sure I will go again even though parking is easy and free. Best Italian food and ambience in Seattle! I ordered the Ravioli Pesce. The most wonderful I've ever had. Grazie. Wonderful ambience and excellent food. We had a large group and service was outstanding. This was such a wonderful dining experience. Can't wait to return. 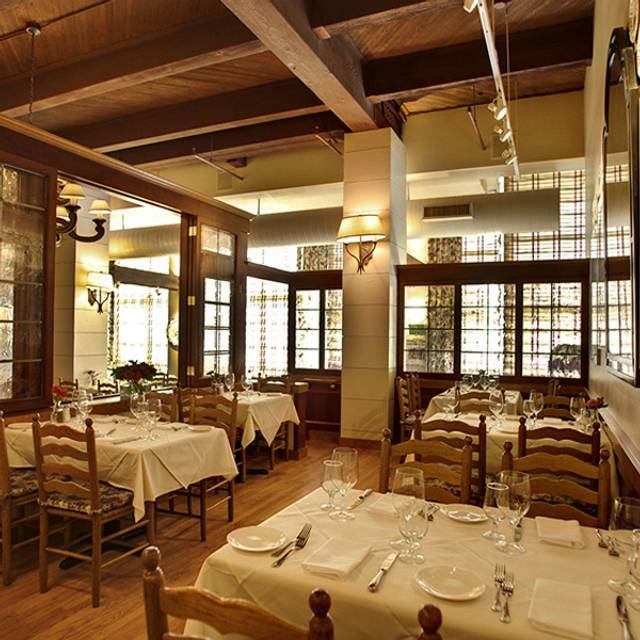 If you want a great Italian Dinner and be assured of great service and food you can't go wrong with IlTerrazzo Carmine. It has become my go to for out of town guests. WE have been going to this place for years. When ever there is a birthday we try and go to this place to eat. We hadn't been in a while and we were blown away by the entire experience. The dining room was beautifully lit and decorated.very romantic and festive. Every dish was excellent. One of our party had the duck, which he said was the best dinner he had had in years. We all raved. Our server, Cathy, was attentive. She appeared as if magic, anticipating our need, and just as magically disappeared. We plan to go back for an upcoming celebration. Lovely decor, fabulous food, impeccable service. New favorite restaurant! We had a wonderful evening. The food was delicious. Our server, John, was perfectly attentive and delightfully personable. Had dinner for the first time tonight as a birthday dinner with my wife. We both agreed that everything about the entire experience was elegantly outstanding. I'd go into details but effusiveness would help without pictures. We will definitely be coming back for our special romantic occasions. Beautiful ambiance. Excellent service. Delicious food! We visited this restaurant on a date night while away and loved it! I had a delicious bolognese with rigatoni and amazing Caesar salad. The other food was also amazing and service fantastic. Looking forward to visiting again when we’re back in town. Highly recommend. it was a beautiful evening. The ambiance, decor, servie and food was five star! For years, our favorite Italian dining experience in Seattle. Excellent menu choices, knowledgable wait staff, and well chosen wine selections. 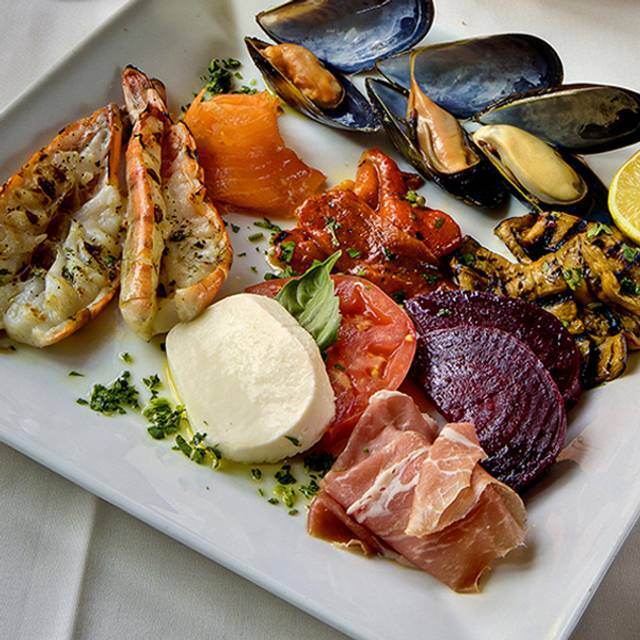 Charming Italian restaurant with delicious food, attentive service, and lovely ambiance.